Three photos measuring 6 x 3.75 inches each. 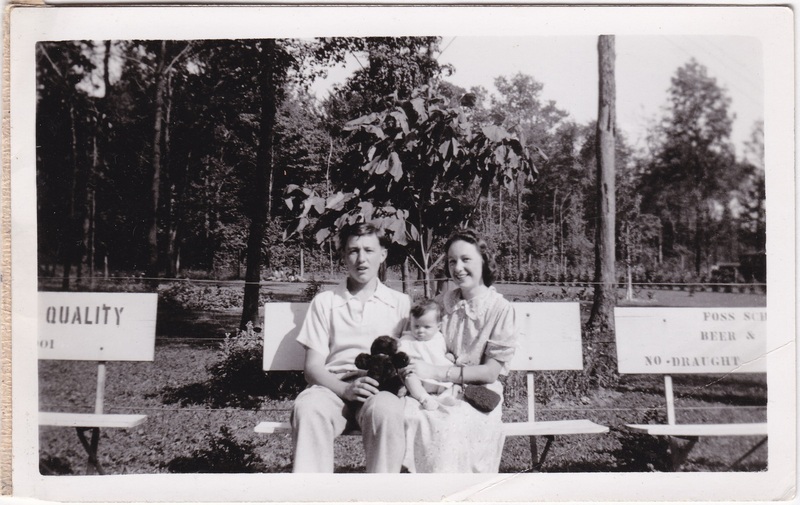 All three photos are dated 1938. The top one is labeled Aunt Eva + Mrs Schadeck. The bottom one is labeled Tony Schadeck, with the position of the handwriting suggesting Tony might be the person on the right. This is an example of how it’s worth persistently rummaging through the jumbled bin of photos at the store. These images were scattered throughout, and I felt lucky that the watermelon theme made them easy to connect. I wonder if I missed any others. By the way, the masking tape you see at the right of the bottom photo is attaching it to yet another photo of a different scene, dated August 1938, which you can see by clicking here. 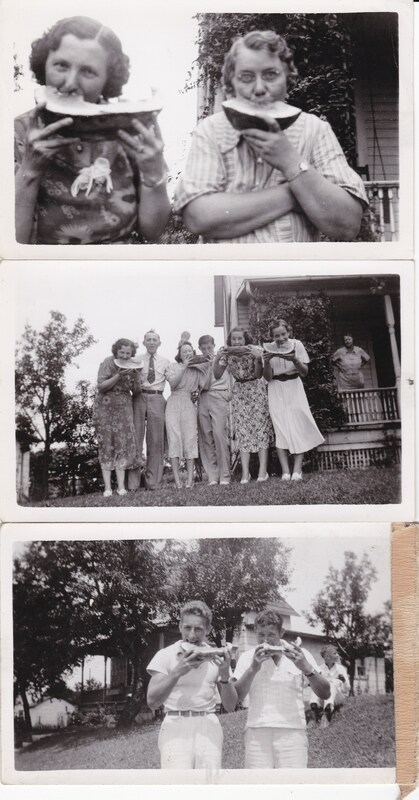 I’m undecided as to whether the people in the bonus photo are among the watermelon eaters. Love these pictures. They remind me of eating watermelon as a kid. Somehow it was always more fun to eat watermelon with others. You could start watermelon seed spitting contests (or fights)..